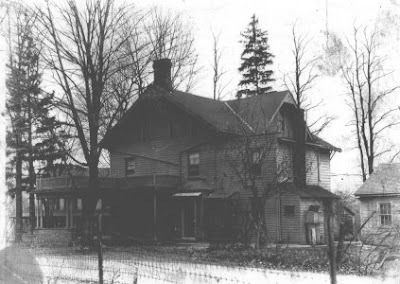 This is what Gunk Haus looked like roughly 100 years ago. It hasn't changed much, don't you think? It already was painted the way we restored it to. The kitchen and beer hall additions to the right are still missing, and there is a balcony on the left, which doesn't exist anymore, but you can see the main entrance and the little side entrance right next to it, which we have since closed off.